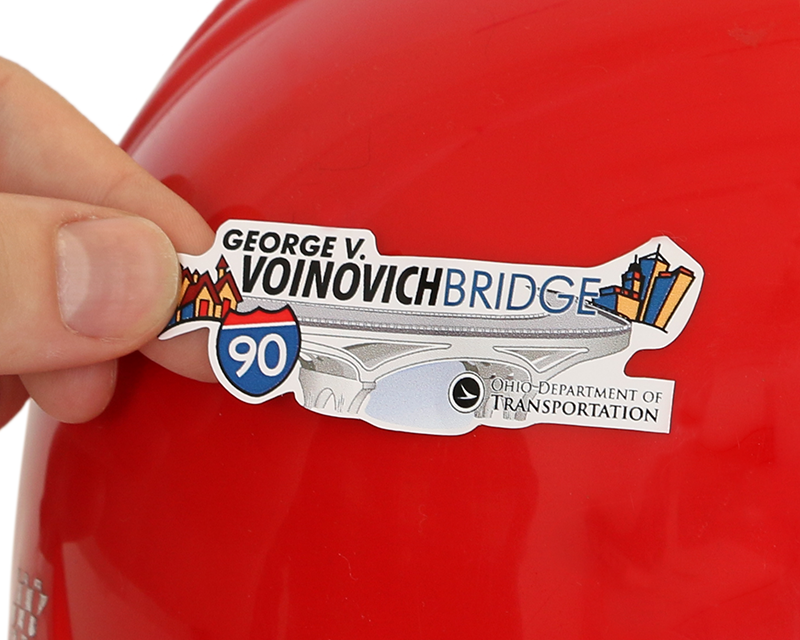 Order a hard hat sticker in any shape! You labels can have a distinctive shape. We will cut out the label to just your specfications. Trace the outside of your logo or create a shape that follows the contour of an animal or, even, your state. • Order either HatHugger material from 3M or our Spot-a-Hat reflective decals. • HatHuggers can be printed in full color, with photographic detail. • Reflective Spot-a-Hat decals can only be printed in spot colors. What is the maximum outside dimension for your stickers? 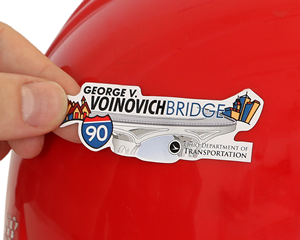 Most hard hats accommodate a sticker that is 2” or smaller. 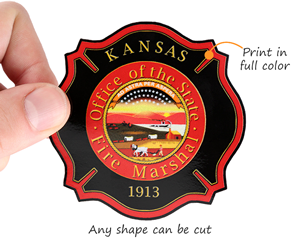 Larger 3” stickers, while giving you the maximum display space for your logo or message, often run into the ribs or creases of a hard hat. Both sizes are popular. Once you have selected the general outside shape, you can then upload your design. We will send you a free proof – including the detailed outside cut lines. Most proofs are done overnight.